Innovative start-ups from around the world are recycling and reusing waste to make new products. By incorporating sustainability into their brands, they can provide eco-friendly products that consumers can buy with a clear conscience. Revolve looks at three brands that repurpose the old to create something new. More than half a million women around the world wear saris, but when the life of dress comes to an end, companies around the world, including Loloi, are finding ways to re-purpose the disposed material and give it a second life. 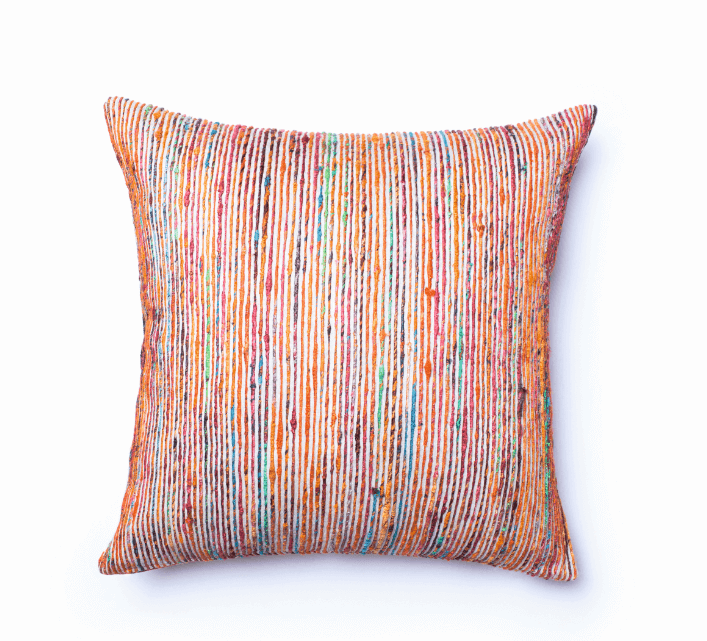 Loloi has created an entire line of pillows made from Sari Silks that comes in a variety of colors and dimensions. 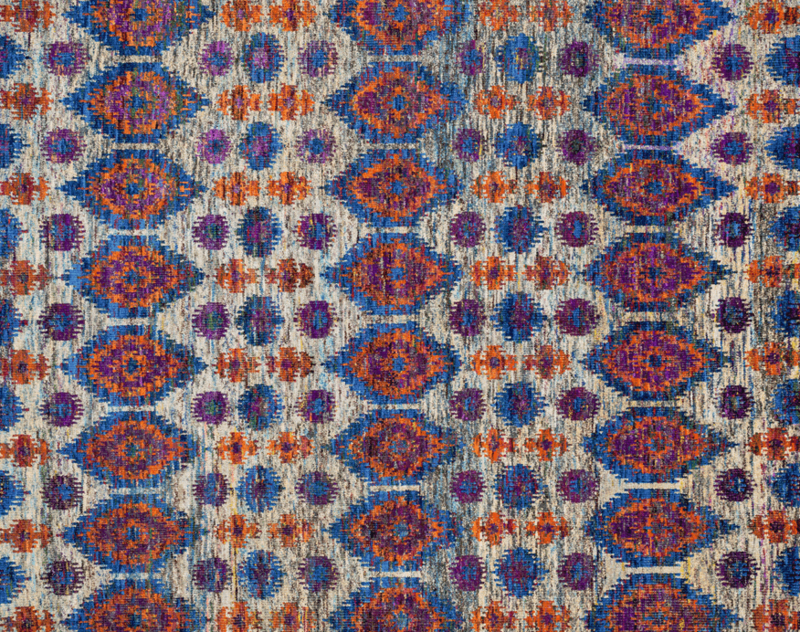 The radiant Giselle Collection by Loloi is hand knotted entirely of refurbished sari silks from India. Each design reverberates in stunning colors like ruby red and sapphire blue that make for an incredibly vibrant collection, ideal for contemporary to transitional interiors.